Oleo-Mac Chainsaw 63.4cc with 20" Bar There is 1 product. 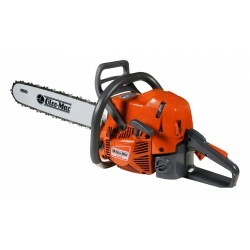 Quality Oleo-Mac 63.4cc Chainsaw with 20" Bar This is a professional saw for the serious user at a great price! The high power, the 20" bar (stellite and with sprocket tip), makes it a powerful versatile machine,that is suited to felling and cutting up large trees.